The mobile advertising economy has exploded, overtaking desktop and predicted to hit $100B in 2016. This is an industry that has traditionally favored the advertiser – as the buyer equipped with the budgets to dictate market trends. As the industry matures new players continue to introducing advanced competing technologies, breaking the monopoly set by the advertising giants, with smart offerings that stand out in a busy ecosystem. As more and more developer look for ways to monetize their free apps, advertising solutions that favor the publisher are emerging. One such player is Appodeal – programmatic ad mediators that are focused on driving increased revenues for app developers, through aggregating demand sources and engaging them in real-time auction-based competition for every ad impression. We spoke to CEO and Founder Pavel Golubev to find out exactly how developers are making this shift and how his technology is driving increased revenues for a quickly growing app developer community. There is a lot of noise about the growth of mobile advertising – what does this mean for today’s consumers, and the developers you work with? Every smartphone owner is affected by mobile advertising in some form, even if this is indirect. From the data you share by downloading apps to the search results you are given when looking for information – the consumer has entered into an exchange. The industry is growing very rapidly, and has been for some time now, in parallel to mobile usage growth. Today more and more app developers are looking for a way to monetize their free apps. This can be achieved by adopting a freemium model, making some parts of the app only accessible to those that, driving users to make In-App purchases, or running advertisements. In this busy space there are a number of ways to do this. Typically a developer will work with a number of advertising networks sending ad requests, the opportunity to serve an ad and analyzing the performance and revenues for each network across various data points. Specific audience segments might work better and so these need to be broken out – then when considering various ad formats, from exchanges and demand sources, that are integrated with different 3rd parties – a developer may have to integrate a number of SDKs, or run multiple tags, potentially slowing the performance of the app and requiring app updates to be republished in the appstore with each new release. It can get very complex. In the past developers, searching for optimum revenues have juggled this and have really been at the mercy of the top networks and exchanges. 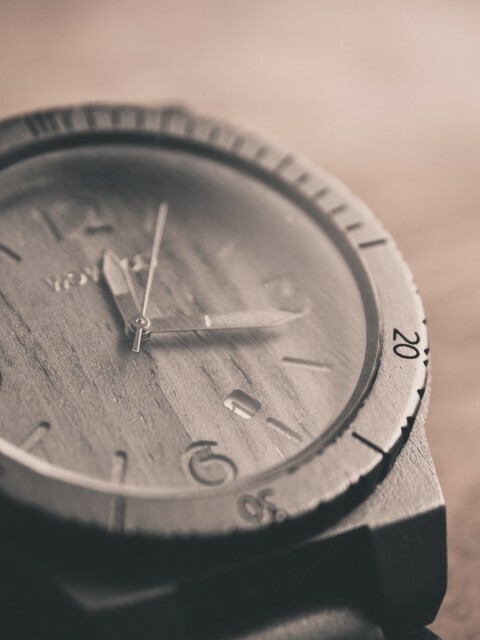 A move to programmatic selling and the automation of this process through mediators means this work is no longer required. What has your personal experience been of this evolving industry? My journey began in Carnage – literally, this was an in-browser game that gained popularity back when Perl was big. I joined in 2009, based in Moscow, as one of the first members in the startup, it was a world away from the corporate industry I had become familiar with. We didn’t wear ties, it was moving quickly and everyone was friendly, and driven. We had the freedom to be creative, this was a time when mobile was starting to get pretty big. It was through this role I met GameDev – the leading community for developers and began to learn more about the developers, and mobile in general. I ended up in Silicon Valley, after developing backend solutions for Ruby on Rails. I was building a social network for mobile phones, whilst also building iPhone games that provided a steady source of income. Remembering the great success of Carnage I and my friend decided to focus entirely on mobile games. We released our first game in several weeks and over the next couple weeks we earned $18,000 out of it. I knew this was going to be a success. At first when the market was still young, it was relatively easy for us to build a decent game, release it and drive traffic to the app. We watched these games work their way up the appstore charts, and the revenues rise in tandem. At this time I have to say we were really focused on quantity over quality. It was when we switched this approach that things really got interesting. We focused on making a really great game and the the various revenue models to gain profits. Trialling free apps with paid versions, we starting learning about in-app purchases and understanding our user data. We discovered the difference between LTV (life-time value – the amount that a user will spend) and ARPU (average revenue per user). We became familiar with the mobile jargon and abbreviations – the various payment metrics and how it all boils down to eCPM (effective cost per thousand views) – and we learnt how to retain users. We created Alfa Production and as we continued to build and release new games with our experiences we could help others in their monetization strategy. We were able to use technology to make developers profitable solely from advertising revenue incomes. It was through advancing this technology that Appodeal was born in 2013. Through solving our own operational problems we had created a uniformed dashboard that removed all the manual work – a programmatic mediation solution. Can you describe how your product enables efficient monetization for App Developers? For those not familiar with exchanges can you explain, what is programmatic and how does RTB work? Programmatic ad mediation means using real-time auction-based approach to sell ad impressions. Traditional RTBs (or RTB exchanges) are built in favor of advertisers. Real-time bidding exchanges help advertisers buy ads in an automated way. Appodeal is a reverse RTB, designed to bring power back to publishers by engaging ad networks, DSPs, RTB marketplaces and direct campaigns in real-time auction-based competition for every ad impression. Think of Appodeal as programmatic ad selling (mediation) rather than programmatic ad buying (traditional RTBs). As I mentioned earlier, traditional RTBs are build in favor of advertisers but not everyone knows that RTBs use second price auctions to bring maximum ROI for advertisers. In simple terms, second price auction is when advertisers with winning bid is actually pay a cent above 2nd best price. For example, if ad network A made a bid of $10 for ad impressions and second best offer was only $2 from Ad network B. Ad Network A will only pay $2.01 for this auction. We believe it’s not fair from publisher’s perspective. Programmatic mediation also differs from traditional mediation in which publishers have to set up and manage waterfalls. As a result — it is much easier to manage your monetization strategy and human factor is minimized. How exactly does of all this mean a shift in power to the app developer? 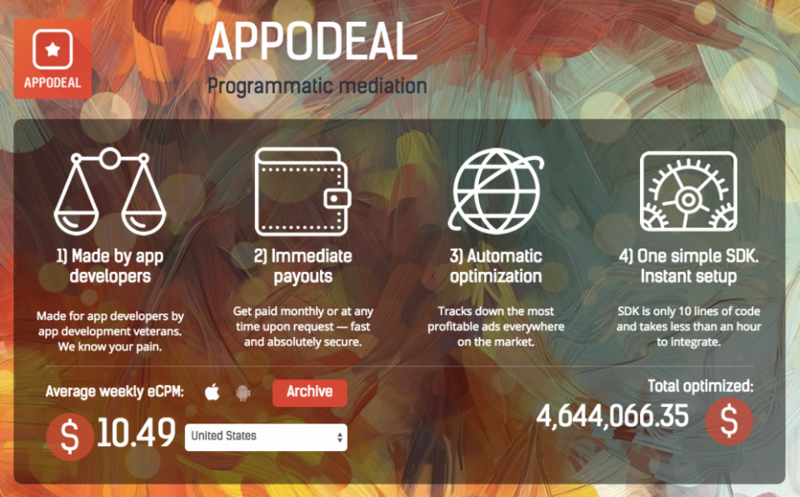 Appodeal was created by app developers looking for better ways to monetize their own products. We are also funded by the app developer community – a few large mobile app publishers invested in Appodeal’s $3.1M seed fund. These publishers use Appodeal and discovered the higher revenues that can achieved through our programmatic mediation technology. We believe that the mobile ad industry is unfairly built in favor of advertisers. Essentially, almost every solution on the marketplace takes advertiser’s side when negotiating ad pricing. We provide publishers with tools to gain leverage and negotiating power with new technology. Rather than hunting out the revenue and letting the buyer make all of the decisions Appodeal reverses this. Demand sources now bid the highest prices for the best ad spots and developers can easily reap these rewards of this, focusing their energies in building more apps for better gaming experiences – in turn hooking these up to Appodeal and funding a cycle of innovation and growth. Conrad Egusa	Marketing 0 Com. 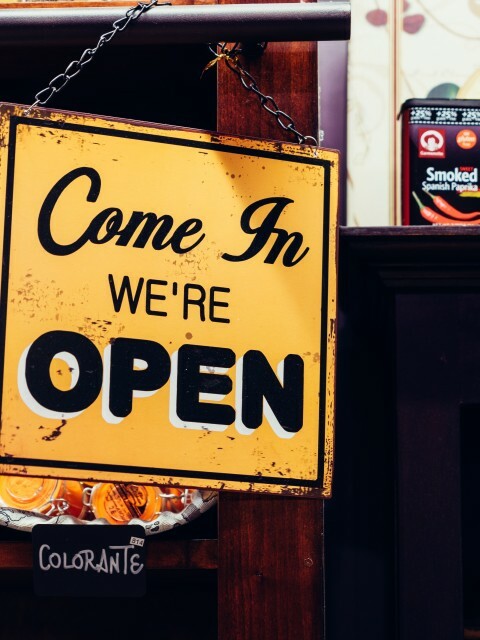 The Secret of Surviving 35 Years in Business?